Rami Malek is best known for his Emmy-winning role on television’s “Mr. Robot,” but his film career hasn’t exactly taken off. The 37-year-old is best known on the big screen for indies “Short Term 12” and “Buster’s Mal Heart” and for an appearance as Pharaoh Ahkmenrah in the “Night at the Museum” franchise. Malek’s film career is about to explode in a huge way thanks to “Bohemian Rhapsody,” which casts the actor as rock legend and Queen frontman Freddie Mercury. 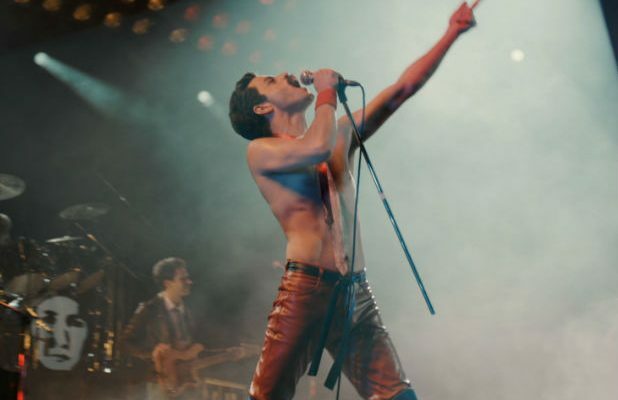 “Rhapsody,” directed by “X-Men” regular Bryan Singer and written by “The Theory of Everything” Oscar nominee Anthony McCarten, follows the rock band Queen from its early foundations to its meteoric rise to superstardom. “Bohemian Rhapsody” began production with “X-Men” director Bryan Singer behind the camera, but the filmmaker was fired from the movie after he disappeared from set and caused production delays. Dexter Fletcher, best known for making “Eddie the Eagle,” stepped in to replace Singer in the director’s chair. Fox film, mired in director drama, finally shows us Malek’s take on Freddie Mercury. The long-gestating and anticipated biopic of iconic rocker Freddie Mercury is coming to theaters this fall, played by “Mr. Robot” Emmy-winner Rami Malek. “The only thing more extraordinary than their music is his story,” the trailer promises, referring to English rockers Queen and their frontman Mercury, respectively. The film was produced by Graham King, among many others including Arnon Milchan and Robert De Niro.